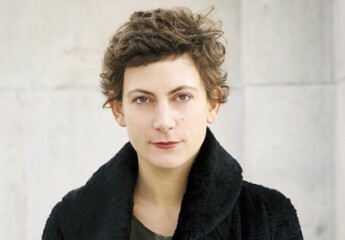 Noémie Etienne is SNSF Professor at the University of Bern and a specialist in early modern art and material culture. She is currently leading a research project on the exotic in Europe between 1600 and 1800. She is also starting a new research entitled “Memory, Mimesis, and Materiality. Sculpting in clay, from Donatello to Andrea della Robbia”. Previously, she studied dioramas as a transcultural and transhistorical media. Her forthcoming book is entitled: “Others and Ancestors. The Dioramas by Franz Boas and Arthur Parker in New York, 1900.” It will be published by the Getty Research Institute (English) and the Presses du réel (French) in 2020. She is also a specialist in conservation history and theory. Her first book, The Restoration of Paintings in Paris (1750-1815) was published in 2012 (Presses Universitaires de Rennes), and subsequently translated into English and published by Getty Publications in 2017. Recently, she has been awarded a Guest Fellowship at the Kunsthistorisches Institut in Florence (2019), a Guest Professorship at Paris 1 Panthéon-Sorbonne (2018), and a Guest Lectureship at the University of Bielefeld (2018-2019). She was previously a scientific assistant at the University of Geneva (2005-2011) and the University of Zurich (2013). She was also a SNSF post-doctoral fellow and visiting scholar at New York University (2012), then a teacher und researcher at the Institute of Fine Arts-NYU (Andrew W. Mellon Postdoctoral Fellow, 2013–2015), and finally a postdoctoral fellow at the Getty Research Institute in Los Angeles (2015–2016). Noémie Etienne is also a founding editor of Journal18.